Gérard is originally from the lively fishing port of Sète on the Mediterranean coast of France. My journey as an artist began, as with so many children, with a love of drawing. In fact, all kinds of manual and construction activities attracted me as a child. 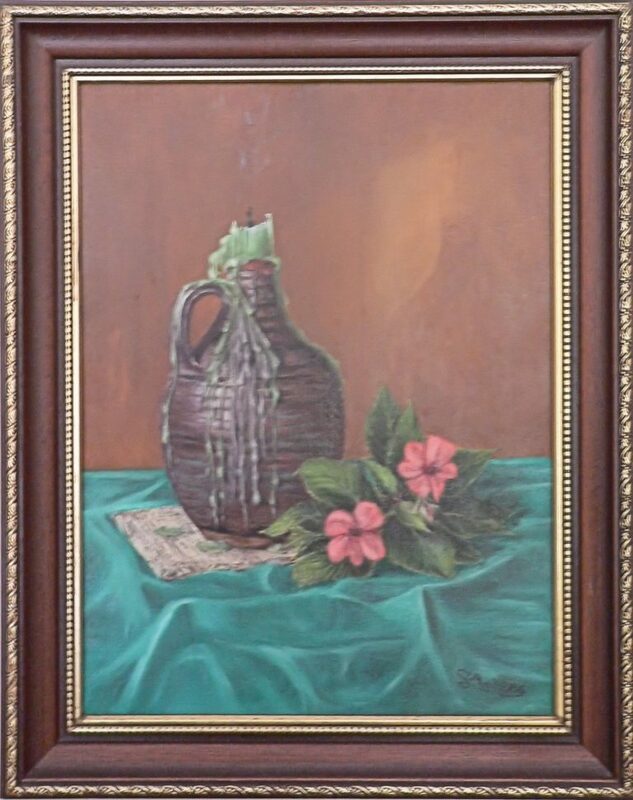 My parents, recognizing my natural artistic flair, sent me to a fine arts school for several years, until I was about seventeen. The experience was pure joy. I loved it all, and I remember especially the smells of the art studio, a mixture of paint, clay and turpentine. This pathway, however, was sadly not to continue, as I then entered the French Air Force. Yes, I am French, born on the Mediterranean Coast of France in the fishing port of Sѐte. I suppose being French kind of goes hand in hand with being an artist, but at this point in my life such was not to be. I was born in the post-World War 2 era, and my parents saw a need for job security, rather than me becoming a Rembrandt or a Gaugin. My artistic journey was therefore interrupted. The nature of my business evolved very quickly, as I saw opportunity to make my art even more commercial beyond just graphic art. I began to do murals, commission paintings, decorative art for commercial venues and home interiors and exteriors, and eventually gilding. It was a world of art expression that I would never have dreamt of in France, and there I was, making a career of it in Australia. The name of my business changed most appropriately to “Art on Walls”. As I continue to run my business today, my focus has turned more to fine art, a kind of return to the origins of my love of art, and also a return to my personal origins in the Mediterranean region of France. 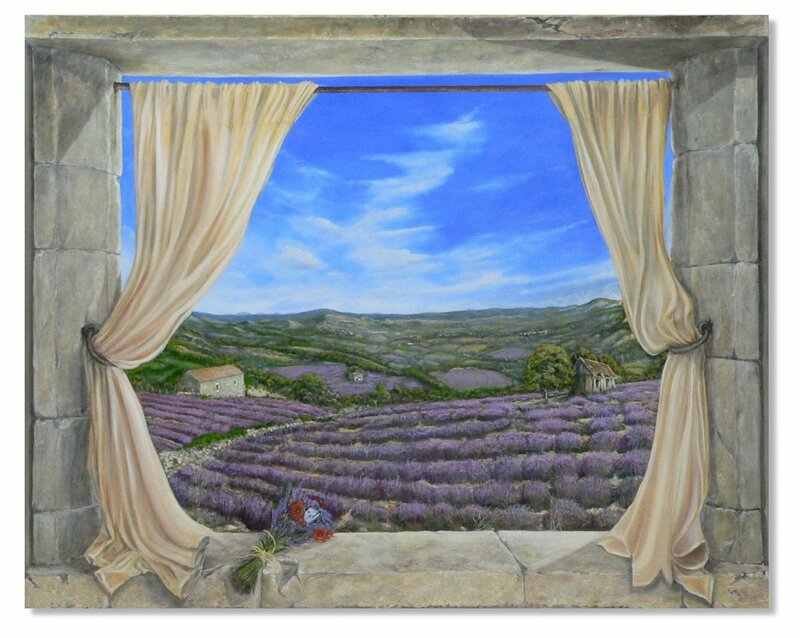 I love painting everything Mediterranean, but with the difference that I now paint in “trick of the eye” style [“trompe l’oeil”] . I am particularly proud of my window effect paintings, which have proven very popular.